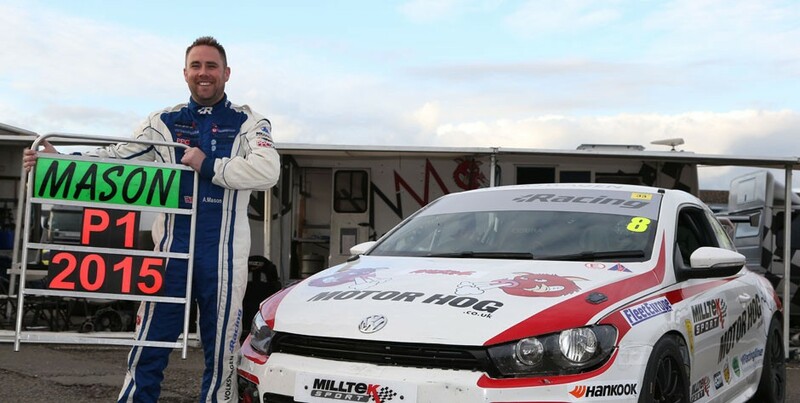 Aaron Mason claimed the second Milltek Sport Volkswagen Racing Cup championship title of his seven-year track career this afternoon, an eighth-place finish in the double-length final round enough to secure the crown ahead of Lucas Orrock and season-long points leader David Sutton. Michael Epps won the race, ahead of his Team HARD running mates Simon Rudd, Robert Barrable, Howard Fuller and Bobby Thompson. Mason’s championship win was as unexpected as it was pleasurable for 35-year-old Doncaster driver Mason and the AWM Motorsport team. 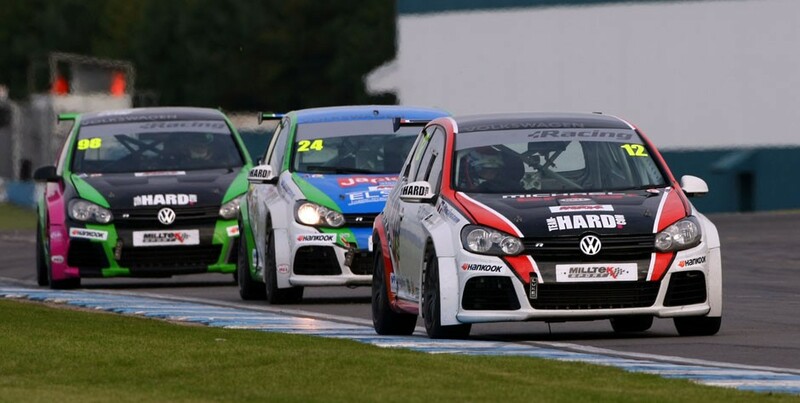 Having been fired out of the lead of the first Donington race by another car, and with his Scirocco’s rattles and bangs growing increasingly insistent as the 40-minute marathon neared its conclusion, Aaron was more relieved than delighted to see the chequered flag. “I was suffering fuel surge, the tyres were gone, the driveshafts rumbling…” said Aaron. “I was driving a very careful race because I could see other cars getting penalties for track limits, and then it was just a case of managing the car to the end. It just got me home – I’m not too sure how many more laps it would have managed. “I’m well chuffed. I’ve only won one race this year because we’ve struggled with pace. The only time we’ve done OK is when there hasn’t been too much weight on the car. We’ve spent a lot of the season carrying 50kg and finishing fourth or fifth, and not managing to get the weight reduced. That took its toll in the mid part of the season. 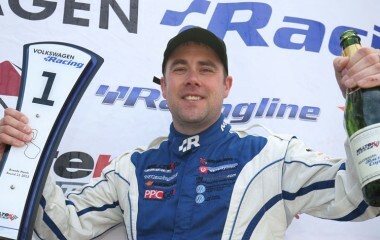 It was a day to forget for David Sutton, the winner of four races in the season’s first half and the championship leader from Round 1 up until today. 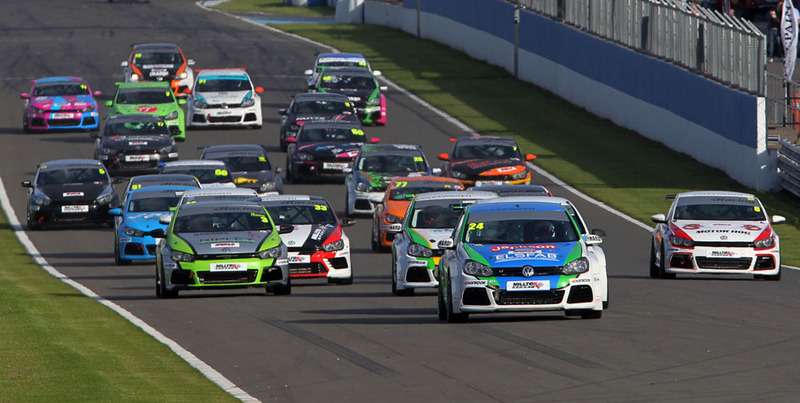 Like Mason, Sutton was fired off in the first race and, though he came back well from a P24 start slot to finish race two in 12th, there was just not enough momentum for the SlideSports Scirocco driver to carry him to the title win. 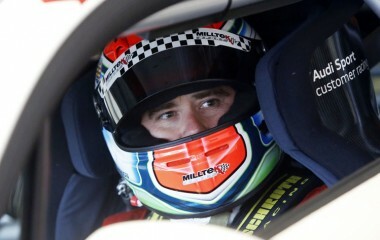 Sutton slips to third overall in the championship standings, behind Mason and KPM Scirocco man Lucas Orrock. 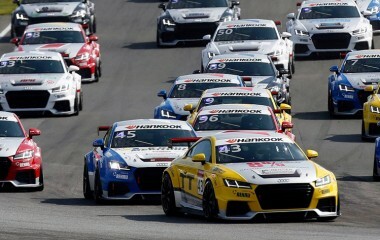 The final race was all about Team HARD, whose pole-sitting driver Rudd sped away from the blocks in fine style, pursued by outgoing champion Joe Fulbrook in the Safe & Sound Golf and with Fuller, Philip House (PH Motorsport Scirocco), Jack Walker-Tully (Cooke and Mason Scirocco) and Epps in hot pursuit. Rudd was far from beaten, though, and kept Epps honest all the way to the line, even though Simon’s mirrors were full of Barrable’s Golf. Robert drove a storming race from the back of the grid – a legacy of his first-race exclusion – to hit the top 10 by the third lap. It took the Irishman a further eight laps to battle up to third, and he was on to Rudd’s tail soon after. 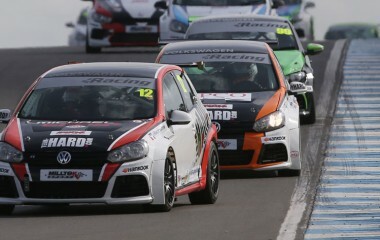 But Simon was more than a match for Robert’s moves, and he held on to second to claim his maiden podium finish. Walker-Tully, penalised five seconds for exceeding track limits, finished seventh ahead of Mason and House, with Joe McMillan’s Cobra Engineering Scirocco completing the top 10. Fulbrook was next up ahead of Sutton and Damani Marcano, 13th despite a drive-through penalty and a 10-second penalty for exceeding track limits. Mark Smith (InFront Scirocco) and Phil Morris (KPM Golf) rounded out the top 15, with Tim Snaylam (AWM Scirocco) finishing 16th to claim the Sportsman’s Trophy.